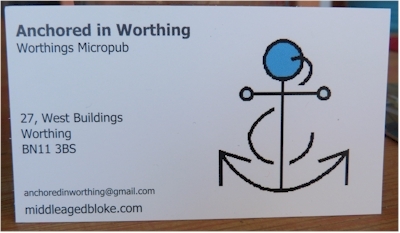 This is Worthing's first Micro Pub and our smallest. 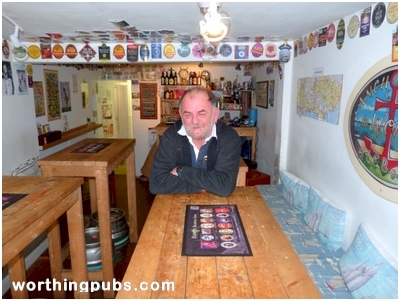 The Anchored is the brain child of Nigel Watson who isn't new to the trade and thankfully a fan of Real Ale. 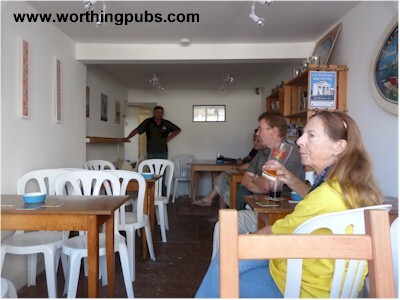 Opened at lunchtime on the 23rd of August, it saw a steady flow of interested parties including yours truly who popped in for a pint and a chat. 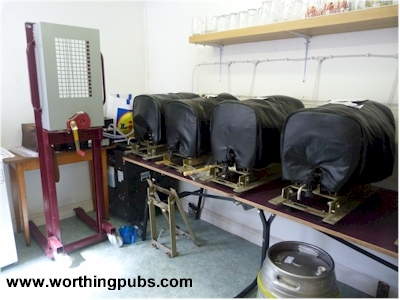 So, what defines a micro pub? 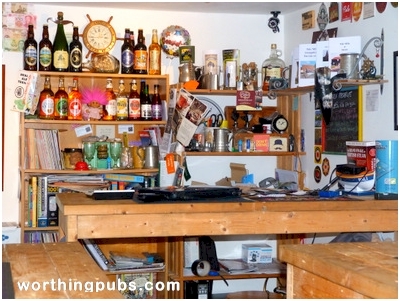 Small - often just a single room. 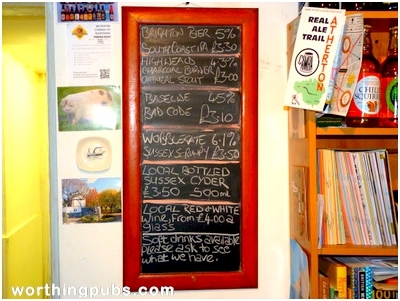 Sells real ale - no lager or spirits. 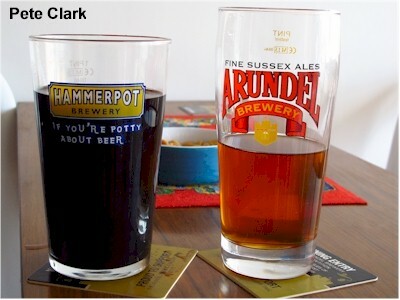 Sources from local small breweries - No multi nationals. 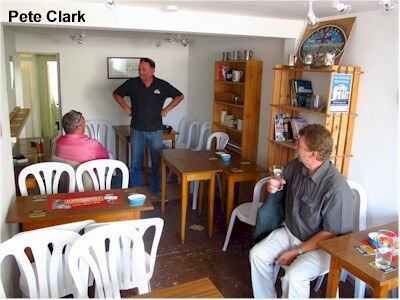 No TV, Jukebox, games machines or pools table. 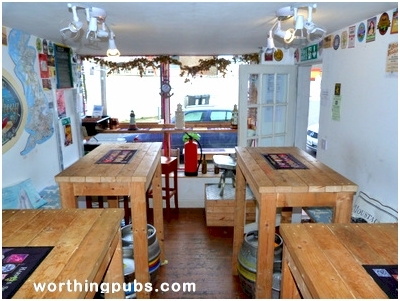 Designed to be more in keeping with the old Ale house of days past, it focuses on the old art of conversation! 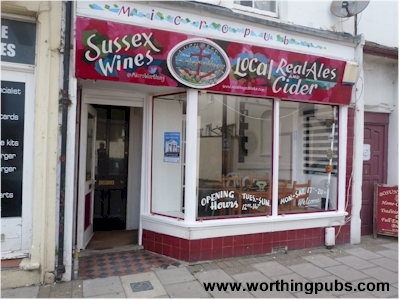 In November 2014, Worthing Pubs were invited back to see how Nigel and the pub had settled in. 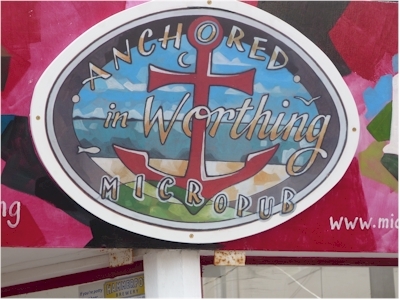 As with many things, as they mature they get comfortable, and this is what has happened at the Anchored. 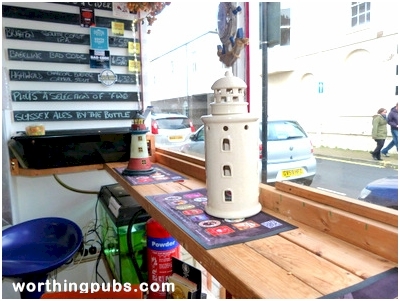 The plastic chairs are long gone (used only in the first few days), decorations adorn the walls and shelves giving that seaside feel. 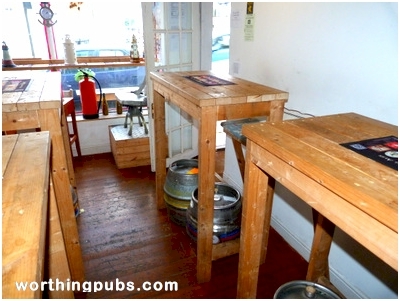 The most noticeable change are the tables, they are oddly tall but somehow that works. 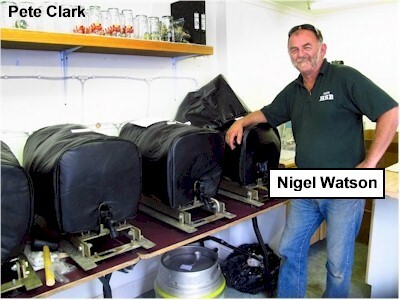 There is a reason behind this but you'll have to ask Nigel. 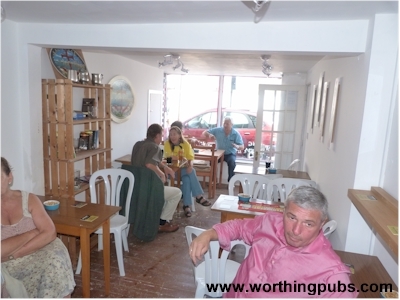 All in all, the Anchored has settled in and proved itself to be very poplar with the locals. 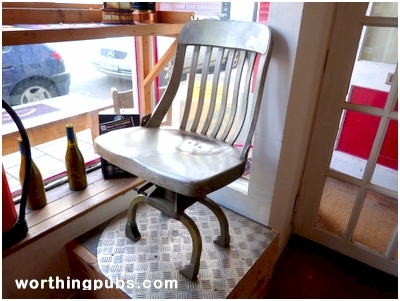 I like to think that every pub has at least one item that is unique, and I don't think this seemingly plain chair would raise any eyebrows, unless you know that it came from an American B54 bomber! 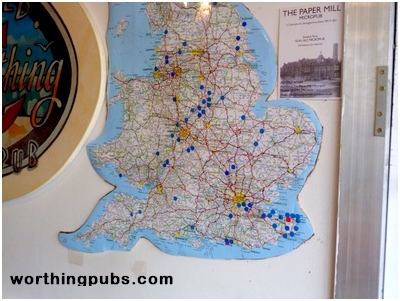 The wall map above charts the expanse of micro pubs to date.